In the first week of december 2014, Microsoft’s Virtual Academy is featuring a very exciting series of online, live events. When your spouse can approve an investment of 4 (partial) evenings, you can quickly get updated on the latest and greatest in Azure for IT Pro’s, by “the master” himself. Mark Russinovich, CTO at Microsoft Azure and widely known as author and his work for Sysinternals, will kick off this week of FREE Azure training. This series of 4 will get you started with the preparation of your journey towards exam 70-533 – Implementing Microsoft Azure Infrastructure Solutions. When you complete this series of training you will be eligeble to receive a voucher for a 50% discount on the exam. You can find all available information here. Don’t forget the exam guide, I’ve published that one here. When you trust me enough, use this link to register directly. 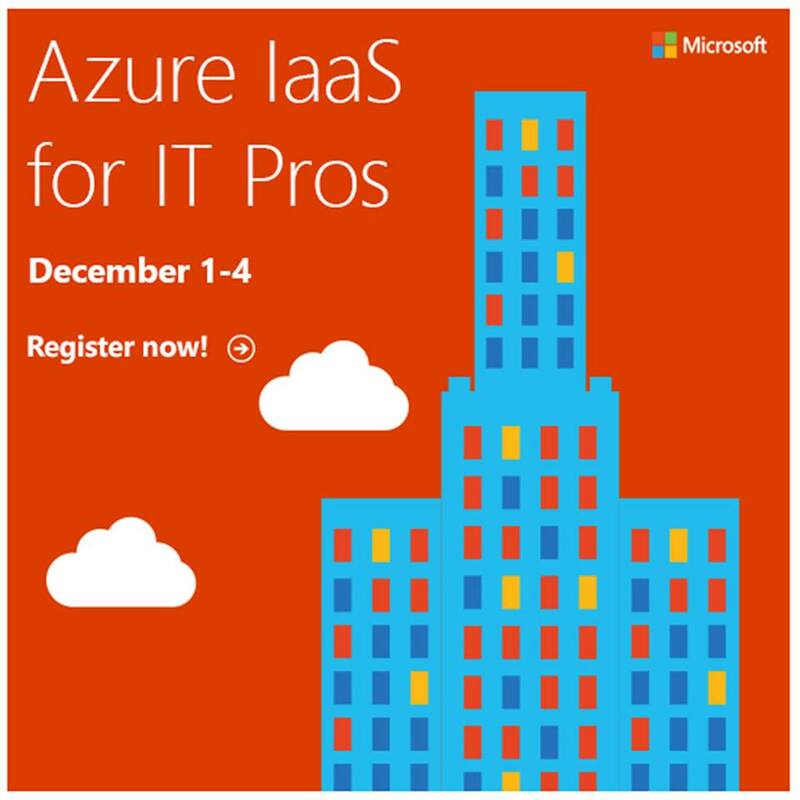 Hope to see all of you guys and gals in this virtual training, to spread the certified knowledge on Microsoft Azure!